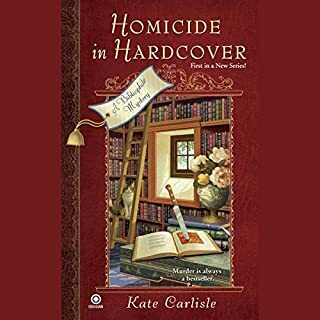 Contractor and part-time sleuth Shannon Hammer specializes in improving the quirks and flaws of the Victorian homes in Lighthouse Cove, California. 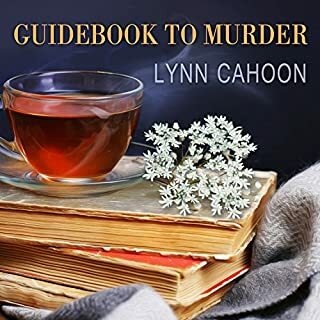 The quirks and flaws of their residents are another story... Valentine's Day is approaching, and while Shannon is delighted to be friends with not one but two handsome men, not everyone in town is feeling the love. After her elderly neighbor Jesse Hennessey fails to make his daily appearance at the local diner, Shannon swings by his place to check on him. Not only does she find Jesse dead - of an apparent heart attack - but she also realizes that his home has been ransacked. ©2015 Kathleen Beaver (P)2015 Audible Inc. The heroine of this story was too insecure & lacked basic common sense. Female relationships were shallow & stereotypic, and the repeated gushing over "handsome men" was exasperating. The narrator's style contributed to the dinginess of the main character. I kept listening thinking it was going to get better. It didn’t. This was a good listen, fun to follow along & overall enjoyable. Some parts were a little juvenile but I think that's what made it an easy listen. I loved the storyline about Emily's house weaved in, it added to the main storyline well & I always wanted to hear more about the ghost! This book was very elementary in dialogue, and the narrator sounded like a kindergarten teacher. The mystery was good, but too introspective with the good girl ...just didn't work for me. Interesting from beginning to end! 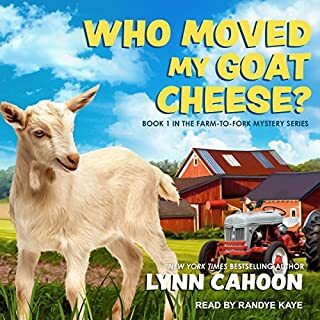 I really enjoyed this mystery. It kept me trying to solve the mystery right until the unveiling of the murderer, and the wrapup was satisfying. Good read! Shannon Hammer is determined to prove that her good neighbor Jesse did not commit suicide, what she unravels keeps getting more and more complicated. Lighthouse Cove is a small, peaceful town, filled with friendly people, or is it. This story will keep you guessing. I enjoyed the story and the narrator did a great job. I do wish the author would've fleshed out Emily's house restoration storyline a little more. It was very intriguing. Possibly a future book devoted to this storyline? I agree with previous reviewers that the books should be read in order so the reader can follow Ms. Hammer's romantic interests properly. It's a fun series and I'm looking forward to the next Fixer-Upper Mystery. What did you like best about This Old Homicide? What did you like least? Although the story is somewhat interesting, the performance is so awful that it's hard to listen and pay attention to anything but the terrible reading. 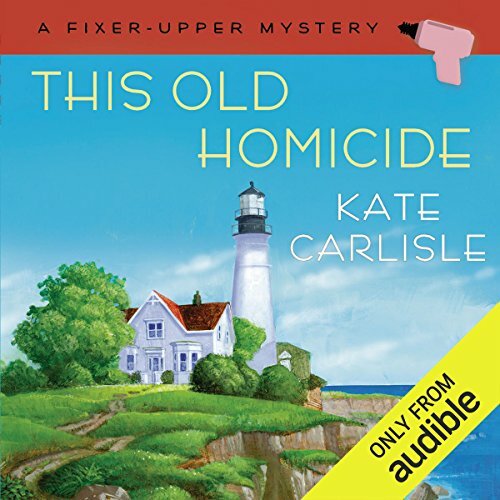 If you’ve listened to books by Kate Carlisle before, how does this one compare? 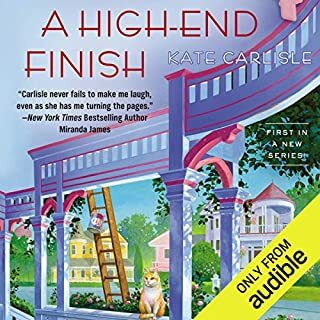 I've never listened to another Kate Carlisle book before. Starling's over-deliberate, saccharine style is just deplorable. The only time I even kind of liked her was when she was imitating another character but even then her cadence was contrived. Ugh. Do you think This Old Homicide needs a follow-up book? Why or why not? I couldn't get past Chapter 5, so I'm not sure. This is a cozy mystery set in a little seaside town centering around a female contractor and the people in her life. This book continued with the character development started in the first novel. 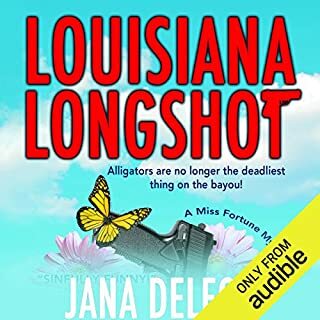 By the end of the story, which featured a decent murder mystery, I came to the conclusion that I would REALLY like to live in this small town. They acknowledge that they gossip and are nosy about each other's business, but at the same time, they watch each other's backs. Our main character still has two possible love interests and a solid circle of friends. And the story itself is well written enough that this is the second time I've listened to it. There should be a category on Audible for books that you can and do relisten to. Becoming one of the girls. Feel like I am rright there with them! Enjoy the writing and characters in the book. The story was an enjoyable enough mystery based in a small town with the usual love triangles and simmering social tensions. There are the cute animal companions, the best friends and bits of town history that are trademarks of the genre. I think more could have been made of the ghost subplot or it could have been dropped altogether. It is possible this subplot was the author setting the scene for the next book. 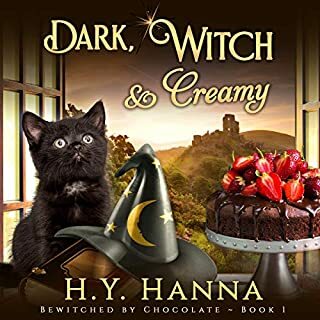 All in all it was a pleasant listen, though I found the story a little slow-moving at times, especially to start with, and some of the characters seemed less fully drawn than others. The narration matched the pace of the story and was clear and concise but some of the accents felt ever so slightly off. Could you see This Old Homicide being made into a movie or a TV series? Who would the stars be? This book is similar in tone and format to the Aurora Teagarden mysteries which have been made into a TV series. A series inspired by this book could appeal to a similar audience.